Give a cheery gift that's sure to make someone smile. 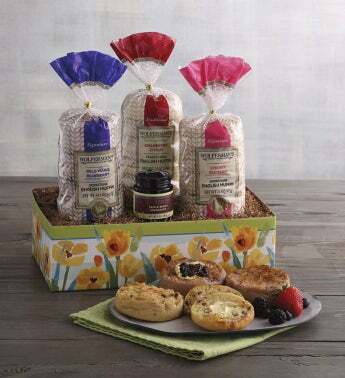 Inside this beautiful gift box are two flavors of extra-thick signature English muffins: blueberry and cherry, as well as cranberry citrus traditional English muffins and flavorful triple berry preserves. The perfect gift to brighten any day.